The body style of Brickon is leonine. It has a sienna colored body with extremely blocky bone structure. The bone plates on the chest, head, spine, and tail are a firebrick hue. It wears a yellow chest and shoulder plates with a light blue gem in the center of each. 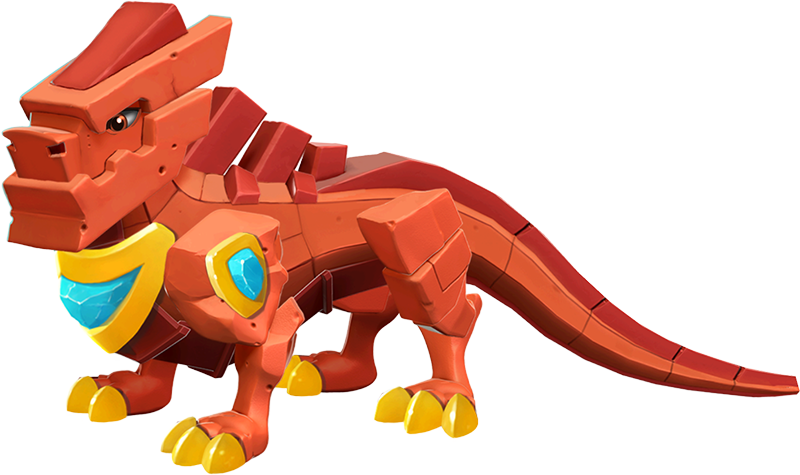 Brickon is a Boss Dragon which can only be obtained one time by being bought from the Main Shop for 1,250 Gems after it has been unlocked through defeating it in Normal Mode, at Quest 92, at least one time.